Apple, grinning after winning a mega patent infringement case against Samsung, is now targeting some of its rival's hottest selling products. The legal tussle between the two companies took another turn Friday in a paper move in federal court in California. Devices added to a complaint Apple filed against Samsung in February were the Galaxy S III and its special Verizon edition; Galaxy Note; Galaxy Note 10.1 tablet; and the Galaxy S II in both its basic and carrier-independent forms. The February case has already resulted in a ban on the sale of Galaxy Nexus phones in the United States, although that injunction is pending appeal. Apple is seeking a similar ban against the Galaxy S III and other devices in its amended complaint filed Friday with the court. The alleged infringed patents in the February case are distinct from those in the case, filed in April 2011, in which a jury awarded Apple on August 24 $1.05 billion in damages from Samsung. 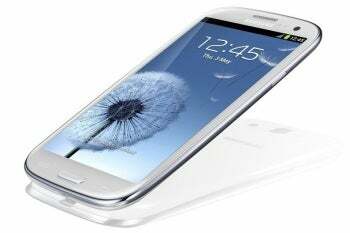 The Galaxy S III has been a runaway bestseller for Samsung. In its first two months on the market, it cracked 10 million in global sales. A U.S. ban on sales of the phone would tarnish the smartphone's success. Meanwhile, the threat of such a ban appears to be making the model more popular than ever in U.S. A survey conducted by one securities analyst last weekend after the jury verdict against Samsung was announced showed Galaxy S IIIs flying off the shelves and selling out at a number of outlets. Apple's contentions in its amended complaint are similar to those made in all its patent cases against Samsung. "Samsung has systematically copied Apple's innovative technology and products, features, and designs, and has deluged markets with infringing devices in an effort to usurp market share from Apple," the maker of the iPhone and iPad argues. "Instead of pursuing independent product development, Samsung slavishly copied Apple's innovative technology, with its elegant and distinctive user interfaces product design, in violation of Apple's valuable intellectual property rights," Apple says.